Team access and collaboration tools are a hot topic in the world of affiliate trackers right now. As the number of players in performance marketing continues to grow, so does the number of performance tracking users. Since 2016, we’ve had the pleasure of offering users our Multi-User Access Module. The powerful tools included with it have been essential for media buying teams, as well as those who need to give restricted access to individual users on their ThriveTracker accounts. If you need a refresher, you can read about these features when we first introduced them here. 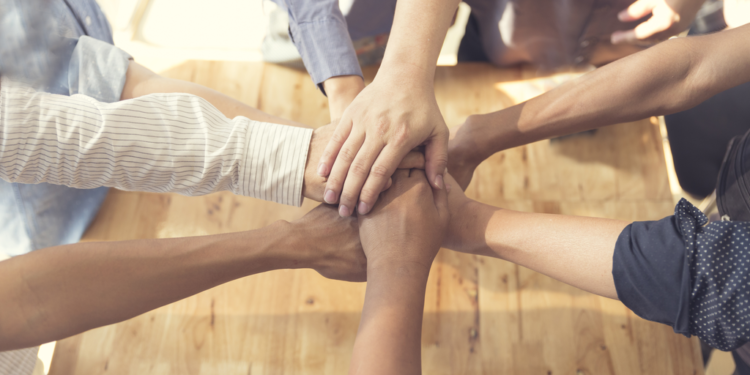 More users in the space means collaboration is becoming inevitable – and that’s exactly why you need a tracker with sub-user access abilities. So what better time than the present to re-visit our Multi-User Access Module and its latest updates. Most trackers don’t give you the luxury of assigning multiple users access to the same account. ThriveTracker not only gives you this capability, but goes a step further by letting admins create roles with highly specific permissions. 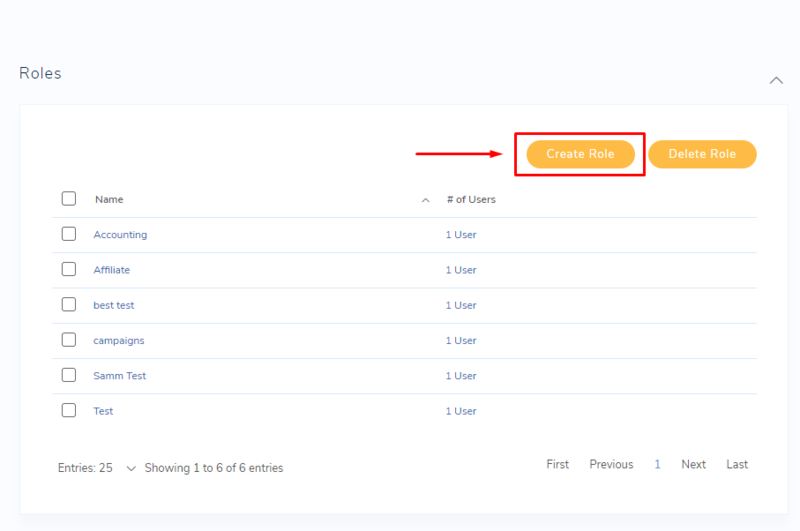 Simply go to your settings and choose “Manage Sub-Users”, then select the “Create Role” button to start selecting permissions for that role. Once a role is created, you can assign as many sub-users to the role as you please. We understand that not all users on your account are created equal; some need extensive access to information, while others only need a small window into your business. That’s why we let you create individual user roles with exact specifications on what they can, and cannot, access. Virtually all areas of our application can be allowed or restricted for sub-users, and each sub-user will only see their private “viewpoint” that you assign to them. Let’s say you want your account rep at one of your affiliate networks to be able to sign in to Thrive and access the offers you are promoting from their network’s list. When you go to create a role, you can select just the categories you want them to have access to. For the rep, you can assign them access to just the offers under their affiliate network (which you would have classified when you entered them into your ThriveTracker account), but not your landing pages or campaigns tabs. It’s easy! Simply leave the “View Landing Pages” and “View Campaigns” buttons unchecked and permission to those items will be denied. Or how about a media buyer? In this case you may want to give them access to select campaigns, landing pages, and URLs, but not all. 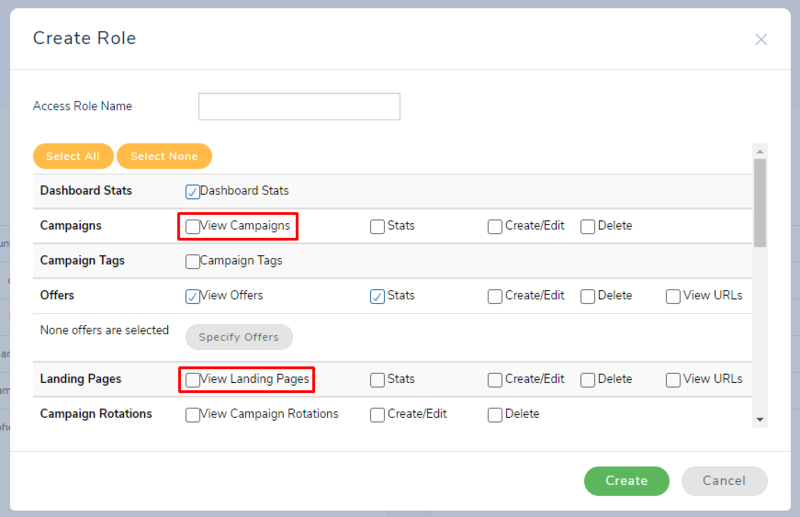 We’ve got you covered – once you check off the “View Campaigns” option (or “View Offers”, “View Landing Pages”, etc.) 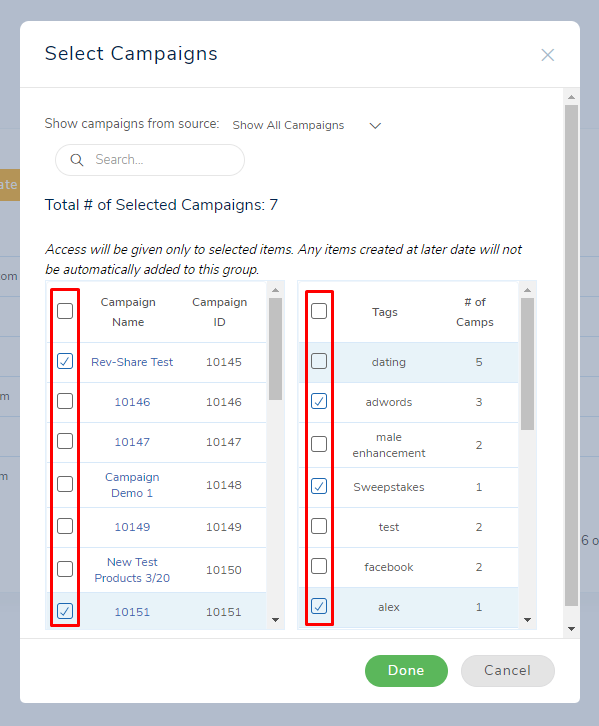 a new section will appear, allowing you to specify exactly which campaigns you’d like them to have access to. A good general rule here is to allow media buyers the opportunity to “Create/Edit” campaigns, and let those be the only campaigns they have access to. Going a step further, they can also add a unique tag to all the campaigns they’ve created, then you can limit their access to only the campaigns with their unique tag on them. With the right set up, you can also use our multi-user access tools to create a team monitoring system. Under the Affiliate Networks tab, you are able to add new networks with whatever name you’d like. So rather than just creating one with the network name, you could create affiliate networks with both the network name and the sub-user name in the title. Then, tag each user with the personalized affiliate network you created for them. Each user’s stats will show up in your Affiliate Networks section, effectively creating a scoreboard. You can use this to see who’s bringing in the most profit, then reward those users accordingly. Just the same, if one of your sub-users is experiencing poor performance, it will show here against their peers, making it easier for you to manage them. To top it all off, if you only give each sub-user access to their own networks, the admin is now the only account with access to the full scoreboard, while the sub-users only have access to their own personal achievements and statistics. With ThriveTracker’s Multi-User Access tools, you have total control and flexibility over your team’s permissions. Fill out the webform below to get started!